Laikipia University closed indefinitely after students protest higher fees – Kenyatta University TV (KUTV). All Rights Reserved. Laikipia University’s main campus has been closed indefinitely following student unrest over matters including higher fees. Fees for arts has increased by Sh5,000 and sciences by Sh8,000. Reports indicated VC Francis Lelo provoked the students further by calling police officers to disperse them when they demanded that he address them. A letter the students wrote him read: “We hereby demand that you address the students at the pavilion, main campus…we have agreed there will be no classes from May 29 until the issue is settled. The main subject is increment of fees. The student fraternity is much frustrated by the ways of your administration.” A student who spoke to the Star on condition of anonymity said they waited for the professor but that he did not show up. 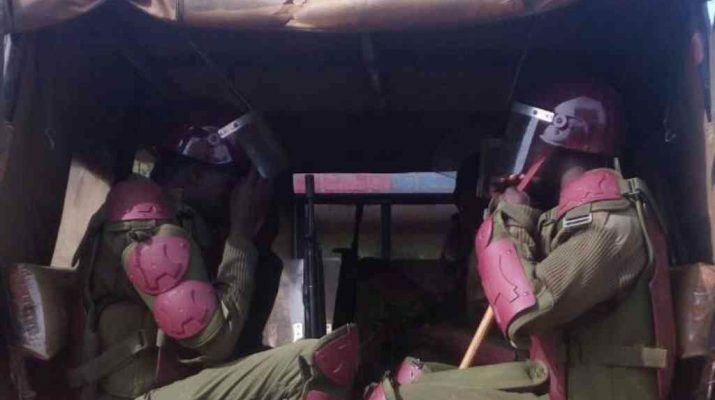 The students had written to the Nyahururu OCPD warning there would be demonstrations at the university along Nakuru-Nyahururu road if their demand were not met. Nyandarua North OCPD Timon Odingo said he requested the learners to negotiate with the administration. “But instead of addressing the students, the VC stayed in his office where they had a meeting. The students threw stones at the administration block before going to the streets,” he said by phone. Odingo blamed the school saying the students were not consulted before the fees were increased mid-semester. Police dispersed the students after being told the campus had been closed. Academic affairs registrar Raphael Kiugu could not give his comment as the was in a meeting.